The number of real estate sales transactions reached 61,000, at a value of $8 billion in 2018, according to figures released by the General Directorate of Land Registry and Cadastre (GDLRC). Sales are down 16 percent from 2017 which was considered an ‘exceptional year’ according to the GDLRC. Value has decreased by 18 percent. The average value per transaction in 2018 reached $133,400. A larger than usual number of properties was registered in 2017, although they were bought earlier, making “2017 exceptional for several reasons,” said Georges Maarawi, Director General of the GDLRC. One of these reasons is that the Ministry of Finance allowed a reduction in registration fees from five to three percent for properties whose maximum value is $250,000. Built property tax was also reduced by LL20 million. Registration procedures were also facilitated for foreigners. Beirut ranked first in terms of the value of transactions, and last in the number of deals. It represented 30 percent of overall transactions in terms of value. Baabda ranked first in terms of the number of transactions, and second in terms of value. It represented 20 percent of the overall number of transactions. Except for 2017, the 2018 figures are in the same range as previous years. 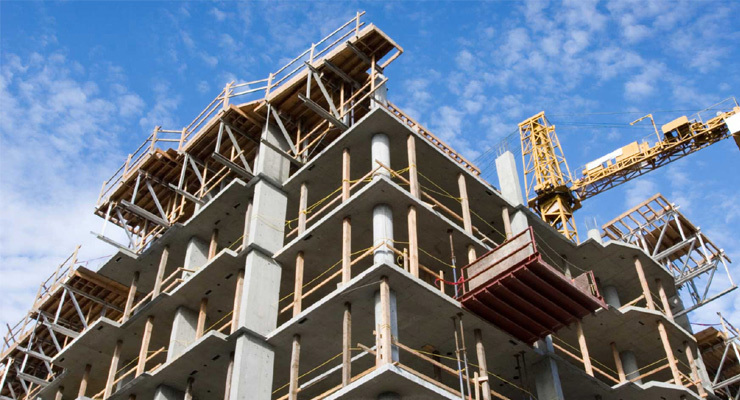 The area of construction permits totaled nine million square meters in 2018, down by 23 percent compared to the year before. The number of construction permits reached around 14,000, a decline of 13 percent. The average area per permit is 658 m2. It is worth noting that these numbers include permits issued by both the Order of Engineers in Beirut, and Tripoli.